In celebration of National Fire Prevention Week, the Cathedral City Firefighters provided a free pancake breakfast on Saturday, October 13, 2018 from 8 am to 10:30 am at Fire Station 412, 32100 Desert Vista Road in Cathedral City. Attendees enjoyed pancakes, sausage, fruit, juice, coffee – the whole works. 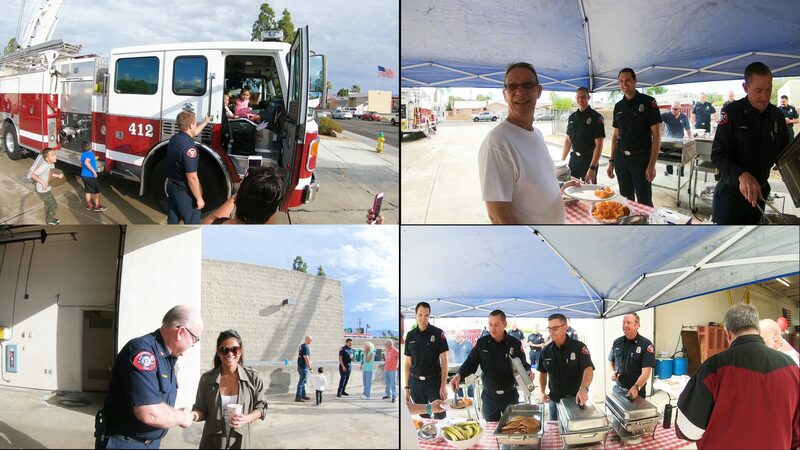 Although the firefighters didn’t win the Meatball contest this year, they would have won the Pancake contest! They were delicious! The kids also loved the ability to climb inside the ladder truck and have their pictures taken by family members.